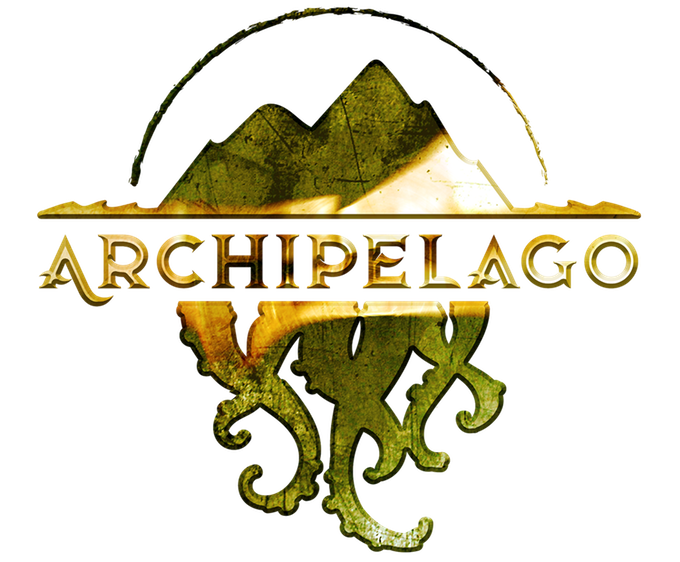 Archipelago – A serialized, interactive online adventure! 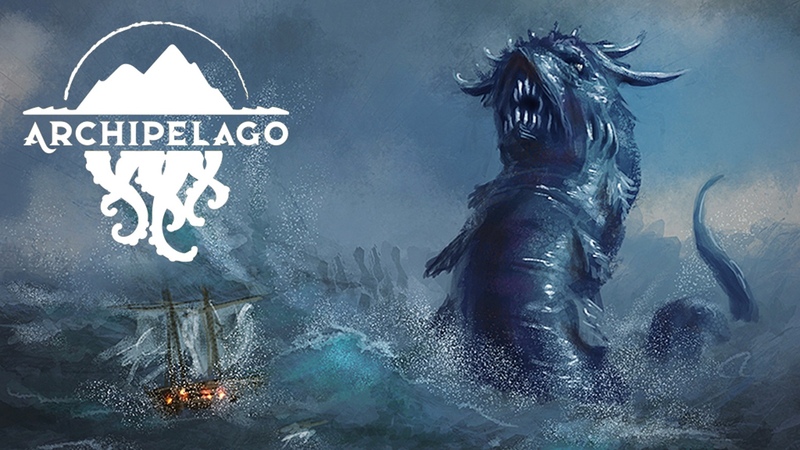 Collaborative, competitive, serialized, and interactive, Archipelago is part choose-your-own adventure, part screw-your-neighbor, and part stay-tuned! What started out as a joint Patreon complete with enforced writing exercise has turned into what could be the next big thing in serialized fiction. 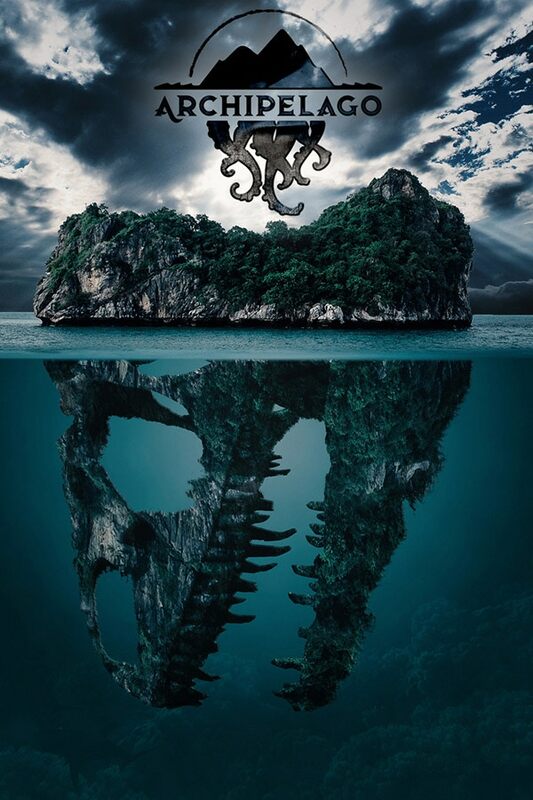 Created by Charlotte Ashley, Kurt Hunt, and Andrew Leon Hudson, Archipelago is a historical fantasy with Lovecraftian flavors. Members vote on where they want the story to go, and the authors have to go in that direction! A few teaser intro episodes are publicly available on their Patreon, check out The Ur-Ring by Charlotte Ashley, In Extremis by Andrew Leon Hudson, and Whatsoever is New by Kurt Hunt. Here’s the homepage of their Patreon, where you can learn more. Andrew Leon Hudson is an English writer, editor and designer based in Europe, a ten-year resident of Madrid with the local vocabulary of an introverted three-year-old at best. He is only now coming to terms with the stunning moment of culture shock that came with realising Sir Francis Drake – one of England’s great naval heroes, especially famed for his victory over the Spanish Armada – is viewed in his chosen home as nothing but a despicable pirate. 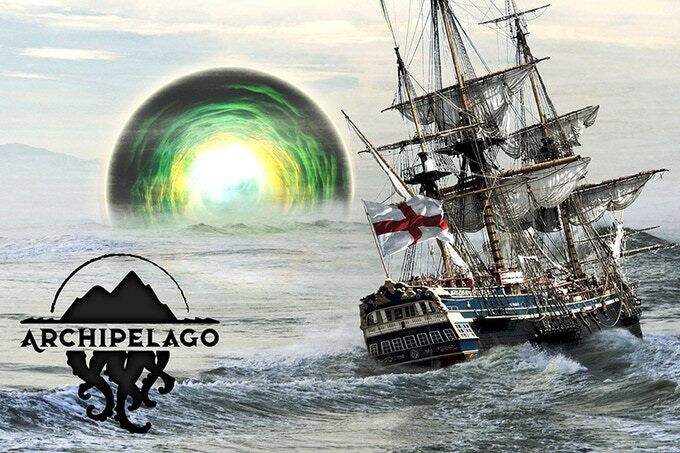 He became involved with the Archipelago project as a way of working through this nautical trauma, and you can track his general therapeutic progress at https://andrewleonhudson.wordpress.com/. Kurt Hunt was formed in the swamps and abandoned gravel pits of post-industrial Michigan. At 17, he fell in love and moved into a shabby Chicago apartment instead of that fancy school he planned to attend, a decision that convinced him that the best things in life cannot be planned but must instead be conjured through a combination of good luck and poor impulse control. His fiction has been published at Strange Horizons, Beneath Ceaseless Skies, and PodCastle, among others, and he co-edited the 2016 “Up and Coming” anthology of writers eligible for the John W. Campbell Award for Best New Writer. You can follow Kurt on twitter at @SonitusSonitus . and with that, let’s get to the panel! Andrea Johnson: How did the three of you come up with the concept for Archipelago? What were your brainstorming sessions like? Charlotte Ashley: It started out as a simple shared Patreon, then spun out of control. Andrew and I decided to do a shared world with a lot of interactivity and we realized pretty quickly that we had a similar vision of how this would work out. We invited Kurt on board and he “got it” instantly as well. We brainstormed through Google Hangouts – it was a lot of “Oh! Oh! We could do this!” “Yes, omg, and then this!” We wanted a format that allowed as much autonomy as possible, with leeway for adding new things on a continual basis. As our characters discover the world, we’re discovering it as well. Her immediate response was to suggest a shared world instead of shuffling separate projects together. I’d been a little burned by one of those in the past, but I liked the sound of swashbuckling and, like Charlotte says, as soon as we all got talking about it there were exciting ideas tumbling out all over the place. The fact that we were in control, defining the environment rather than (as was the case in my first experience) joining an existing one, also made the prospect of a shared world a lot more appealing to me. I’ve no regrets about re-shelving that half-a-novel whatsoever! Kurt Hunt: I came on board after the basic concept was in place–serialized shared world portal fantasy with an alt-history bent–but immediately felt like one of the fold. Even though I’m generally a solitary writer, I knew Andrew and Charlotte and their work, and the whole thing immediately seemed like an adventure I had to join. I started researching, we started talking via email and Google hangouts, and the details just started clicking into place. Some projects are slow, painful affairs. Every decision is excruciating, every decision is a chance to second-guess. This isn’t that project. Brainstorming for Archipelago has been like wildfire, or like jazz. Our thinking is so aligned on so much of the worldbuilding and concept that one of us will drop an idea and within four or five minutes we’ve all chimed in and built on it to create something we’re all completely stoked about. It’s communal. The hardest part, frankly, is knowing when to restrain ourselves. Charlotte Ashley: Kurt’s being modest – he’s an excellent moderator. He is VITAL to keeping us on-task when we start spinning ideas out of control. He takes minutes. Andrew Leon Hudson: I take hours. AJ: Do you have any rules in place to ensure the story goes where you need it to go? CA: We’ve jointly sketched out the “big picture” plot and then set some rules about the physics, astronomy, world details. We also set rules for who could or couldn’t use certain characters or places, or how catastrophic events can be. At this point, we’re being very open as we write, running anything that might affect the others by the group. Later, when we’re being more secretive, we have a Wiki to fall back to, with permissions, etc. ALH: Also, it’s more a case of letting things unfold at the moment, rather than worrying too much about a distant target we all must aim for. We do have a few milestones in mind, but exactly how we come to them is pleasantly unspecific for now. What is important to take care with is that we balance this being a work of collaborative and competitive fiction. We want to feel the thrill of the threatening and unexpected just as much as we want the readers to, but there’s no percentage in one of us “winning” if that breaks the project as a whole. CA: Yes, and I have to say, I am not vested heavily in where the story goes. I am not the only one with a vision of the Archipelago: I have to share that with not only my co-writers, but the readers as well! My job is just to write what happens to the best of my ability. I don’t mind if it goes somewhere I did not intend at all! KH: There are rules in place to protect the viability of the world and the context of the story. For example, I can come up with crazy and powerful artifacts–but I can’t have an artifact that immediately kills all of Andrew’s and Charlotte’s characters because that would undermine the project. ALH: And yet he keeps trying to slip one through. KH: There are no rules to ensure the story goes where we need it to go, because it doesn’t “need” to go anywhere. We have a rough agreement on some bigger elements, but a lot of the story will be organic–playing off each other’s stories and our readers’ input. It’s a bit like playing pretend as a kid. It’s super fun and pretty much wide open until that one kid says “my super power is I’m invincible and I’m stronger than you and I’m the most handsome person in the world so I beat you and everyone loves me,” and everyone else loses interest because what fun is that. Our only “rules” (and that’s a strong word for them) are in place just to keep it fun and interesting for us and for the readers, not to dictate the outcome of anything. AJ: What kind of research did you do for your historical cities and regions? What’s the most fascinating thing you learned? CA: Personally, I read everything I could about the Horn of Africa in the 17th century. I work in an academic bookstore, so I have the benefit of a lot at my fingertips. That said, it was hard to find good English-language sources! So, after that, I grilled a friend who works with Ethiopian archives for more day-to-day details. I learned a lot of very boring things about Indian/Arabic Ocean trade – but also a lot of fascinating things about trade! Apparently they did a lot of business exporting giraffes and zebras to Ming China, that kind of thing. I love the colourful image that conjures of Mogadishu’s ports. ALH: I’ve started in pretty easy territory, there’s plenty of general awareness of European colonialism and the beginning of the naval empires. The era isn’t the same, but for the flavour of life at sea I turned to Patrick O’Brian’s Aubrey-Maturin novels. They’re fantastic reads, so much so that I’m having a slightly hard time not just transplanting his 18th/19th Century into our early 17th. However, future stories in my corner of the world are going to go down rather different paths than just What The British Did At Sea. I’m going to play those cards close to the chest for now though. KH: I knew I wanted to set my stories in North America during the colonial age, and once we figured out the rough time period the stories would be set in I had a pretty focused area of research–there weren’t a ton of British colonies in North America at the time. I zeroed in on Jamestown, which has a ton of dedicated resources because of its near-mythological role in U.S. history, and read through a great deal of secondary sources so I understood the key players and settings and the timeline (as well as the political context back in Britain… for example, the Gunpowder Plot happened in 1605, just a few years before my first story). After I felt I had a good grounding in the facts as we understand them, I dove into primary sources. There are three I referred to so often I just saved the full texts into my working files: (1) “A true reportory of the wracke, and redemption of Sir Thomas Gates Knight; upon, and from the Ilands of the Bermudas: his comming to Virginia, and the estate of that Colonie then, and after, under the government of the Lord La Warre, July 15, 1610” by Wm. Strachey, Esq. ; (2) “A Trewe Relacyon” by George Percy (which includes Percy’s first-hand recollection of the Starving Time); and (3) Thomas Harriot’s 1590 “A brief and true report of the new found land of Virginia.” All three have been invaluable, not just for facts but for flavor. AJ: Patreon subscribers of certain levels will get to vote in polls. How will these polls change the story? What challenges might the poll results cause for you, the writers? What’s this neat thing I hear about loyalists and the stories they will have access to? CA: We have three types of polls: White Pearls, which are monthly, fairly minor twists and turns that might help or hurt the characters. I’d love for these to become more “inside ballgame” as the story progresses, so readers know exactly what to vote for to best help their nation. Blood Pearls dictate the direction of an entire episode. And Black Pearls will decide a major plot point in the season finale. KH: The first Blood Pearl is a Roanoke story, so I’m already looking down the barrel of the “challenges” portion of this question. First: it’s a challenge to develop poll options that give the readers real and exciting choices without painting the writers in a corner. But once the poll results come in, I’m effectively writing a story to order. In the case of the first Blood Pearl, I decided I wanted to tell a ripping yarn about monster hunting, and so the question is presented to the readers as, basically, “what kind of monster hunting adventure do you want to read about?” I have a rough sense of what each of those story options would look like, but once the vote is final I’ll have to write what the readers want, and I’ll have to do it to deadline. KH: Regarding Black Pearls, I’ll just say that we are specifically not planning out any details of the second year of Archipelago because it will be so dramatically impacted by the outcome of the Black Pearl vote. We are really focused on making sure reader interactivity is fulfilling and meaningful. None of the pearl polls have predetermined outcomes… our job is to roll with what the readers throw at us. CA: Fealty stories are another thing entirely! Once we get rolling, we’ll let people declare fealty to one or more factions. This will let them read “behind the scenes” stories that give away plots and schemes the other writers won’t know about. The hope is that this will give readers more of a sense of being “on a team”, and really investing them in the fate of one nation or set of characters. KH: I can’t wait for this part. ALH: Yeah, it will be interesting for us to get a taste of the whatever-could-be-coming-up-next aspect. AJ: Where do you see this project in three months? In 6 months? In a year? CA: In three months, we’re just starting out, introducing the characters and conflicts. Six months in, hopefully people will be settling their loyalties and feel pretty connected to the characters, so they’ll really know who or what they want to root for. In a year, I want a rapturous audience who are just dying to know what is going to happen to these characters they’ve become so attached to! We have a long term plan – years. There’s a lot of story to tell. ALH: For my part, I’m going to push the question further – I’m already thinking about what I’ll be doing for a Year Two arc. I don’t quite know where it will leave me in Year Three, but I’ve no intention of letting Charlotte and Kurt walk away before I get to find out! I’m not saying “chains in the basement”. I’m not. KH: I have no concerns about this answer. None at all. Not one. ALH:As soon as the project concept started to flesh out, I began seeing this as something that could (or rather should) stretch over at least three years. In terms of reader interest, we’ve had a great start – much better than my expectations. I anticipated a slow trickle of subscribers, something to build on in subsequent years. Instead, our Kickstarter raised five-times what I hoped for, and in one month we’ve attracted a good percentage of my most optimistic audience numbers for the first year. No complacency, we’ve got to deliver consistently if we want to keep ARCHIPELAGO growing. But the fact that other people see the potential too is really encouraging. Plus we’re having a great time writing it, so it’s smiles all round. KH:In-story: as Charlotte says, in the first three months each nation will be focused more on its own story. For example, in Roanoke’s third month, I introduce a major villain. That story will be all about establishing character and setting up a major conflict within my year 1 plotline. But, without giving any spoilers, that doesn’t mean that the early months will be wholly separate. There may very well be hints of how the nations will collide, even that early. As the year goes on, those stories will wind closer and closer. Outside of the story, I expect to see support continue to grow as people key into the fact that we’re doing something pretty unique. Three different storytellers, each with their own style, combining old-fashioned serial storytelling with new-fangled interactivity and digital delivery. In a year, I think our readers will be invested and proselytizing, and we’ll kick off a huge second year invigorated by whatever twist the Black Pearl throws at us. After that? I figure ten years from now we’ll all be able to retire on our Archipelago money, but we’ll still be having too much fun to stop. CA: I see Archipelago film premieres in our future. But, yah, hopefully still writing. 😀 There’s a whole world here to play with! AJ: Thanks Charlotte, Andrew, and Kurt! The more I learn about this project, the more interesting it becomes!